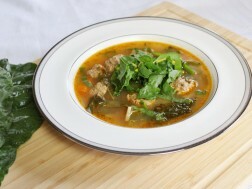 Italian wedding soup - redefined! 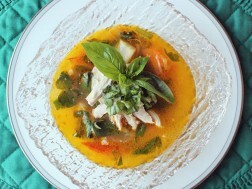 Made with whole ingredients, this paleo-friendly soup is super healthy and delicious! Remember that soups are not only comforting, they are also a powerful way to boost hydration and naturally detox our body. 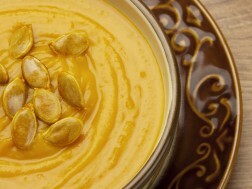 Yes autumn, let's bring on the soup! Q: My skin is not looking good this season. I'm seeing red and dry patches all over my face and neck. HELP! A: Over the course of the last few weeks I have encountered red, scratchy, and dry flaky skin on so many people says Wellness Warrior and skin expert, Suzanne Weaver. As the temperature begins to drop, we find ourselves craving denser, sweeter seasonal foods. Harness the soothing warmth and natural sweetness from the root vegetables and apples in this comforting soup, not to mention the powerful disease-fighting nutrients found in abundance, and you’ll be hitting the mark on your nutritional needs this autumn season.